“I seek the Lion of God or Rustam of the legends,” the Shaykh had said to Rumi. 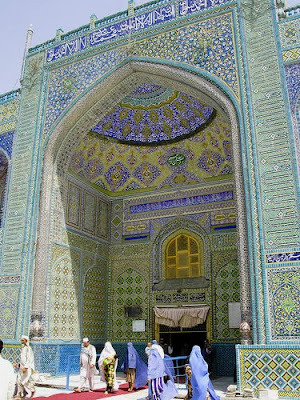 You know that “the Lion of God” is a title of Ali, who is acclaimed as the founder by most schools of Sufism. The next chapter is about him. In other words, such a person has dominion over “the outward and inward forces,” and that is what you are learning in the Garden. The familiar motifs of kingdom and Sufism have reappeared but they are combined in the person of Ali, who was a ruler as well as the acclaimed founder of most schools of Sufism. Also, he turned back the hands of “time”, which is yet another clue for Joseph. He fits the description of a Divine Vicegerant awaited in the previous chapter, which could be the reason why Rumi’s Shaykh was seeking someone like him. 6) ACTION Part C Now having conformed to such laws of family, mentoring and being mentored, and of "shaping one's own clay" we are thus in balance -- to shape around oneself and others where possible - a world of light, joy and compassion...knowing that such conforming and balance will need constant practice and renewal. These principles are fitting with the deep wistful, agonizing questions and frustrations being raised on the other blogs here and came none too soon!